On computer and home networks when you type an Internet address into a web browser the web browser needs to convert that web address into an IP address. To do that it uses the the name resolution processes provided by the host machine. Generally a host will try multiple methods until it succeeds or runs out of methods to try,and then it fails. The order in which it tries this method is a host parameter that can be changed. In Linux this is done in the /etc/nsswitch.conf file. Early Windows networks used the Netbeui (NetBIOS) protocol which had its own name resolution methods. Likewise Apple also had their own networking protocols and name resolution methods. The Internet was built on Linux (Unix) and TCP/IP which used the hosts file and DNS as the main name resolution methods. Microsoft and Apple moved from their proprietary networking protocols and standardized on TCP/IP, and in doing so adopted the hosts file and DNS resolution methods. However they also kept their old methods, and modified them to work over TCP/IP. The name resolution order can also be affected by the type of application making the request. 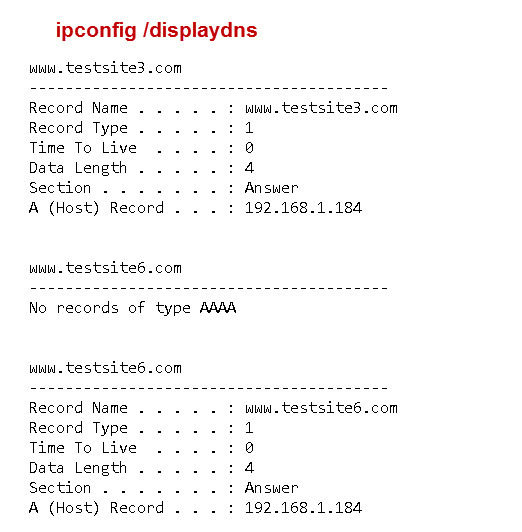 On Windows machines you can see the contents of the DNS cache and clear it using the ipconfig command. Note: The cache isn’t cleared automatically on Windows which is unusual for a cache. 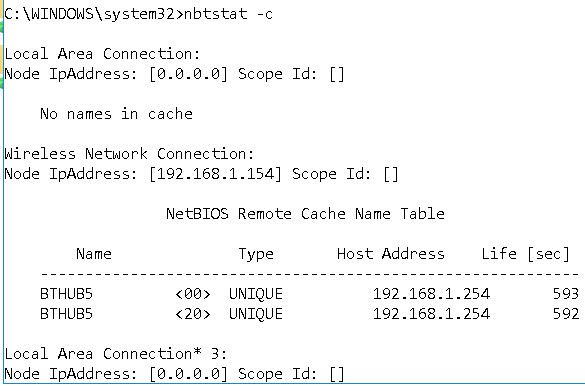 See this Technet article for a more detailed look at nbtstat. Q- Is there a DNS cache on Linux? Q- What is the LMhosts File and where is it stored? A- Just as LMhosts is the Windows equivalent to hosts, Wins is the Windows equivalent to DNS. I don’t believe it is used anymore. Q- Can I tell which method resolved the host name?